Whether you’re working, studying, connecting with family or finding your way around, it will soon be easier with free high speed WiFi now available in more locations on the Sunshine Coast. 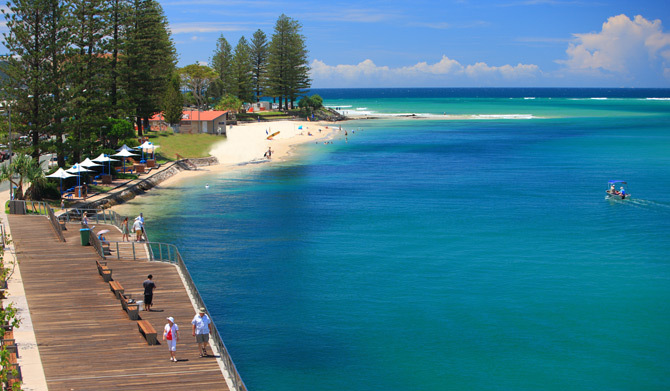 Sunshine Coast Council has installed new WiFi access points at Mooloolaba Beach, Alexandra Headland and Maroochydore Beach, expanding WiFi to over 70 access points at 21 locations across the region. Mayor Mark Jamieson said WiFi was one of many smart integrated technologies council is trialling and installing as part of its Smart City Framework. “Free WiFi is a service that people are coming to expect and by providing this, council is helping to grow our economy and create a better quality of life for residents,” Mayor Jamieson said. “This is an ongoing service that will benefit locals and visitors, and will make it easier to do business on the Sunshine Coast. “Some of the first visitors to use the new connections will be those coming from around the country for the Australian Surf Life Saving Championships – it will help them stay in touch with people back home and explore the Coast. “We expect that around 2000 users could connect at once in Mooloolaba based on the number of access points installed there once the expansion is complete. “This capacity will, to some extent, vary depending on the types of devices people connect and we will monitor the usage to evaluate and improve where possible. Mayor Jamieson said data collected about WiFi usage would help council provide the right services in the right locations. “Understanding how many people use the service and how allows us to determine what connections are required and by who so we can effectively expand WiFi and other smart technologies where they are required,” he said. Terms and conditions, and other locations – including council libraries, Kenilworth, Maleny and Montville – are listed on council’s website.